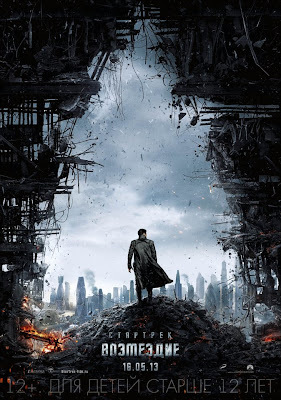 Paramount has released information on the world wide releases of Star Trek Into Darkness; if you're especially keen to see it then you'll want to go to either Norway or Egypt, where it is set for release on the 15th of May, two days ahead of the US. 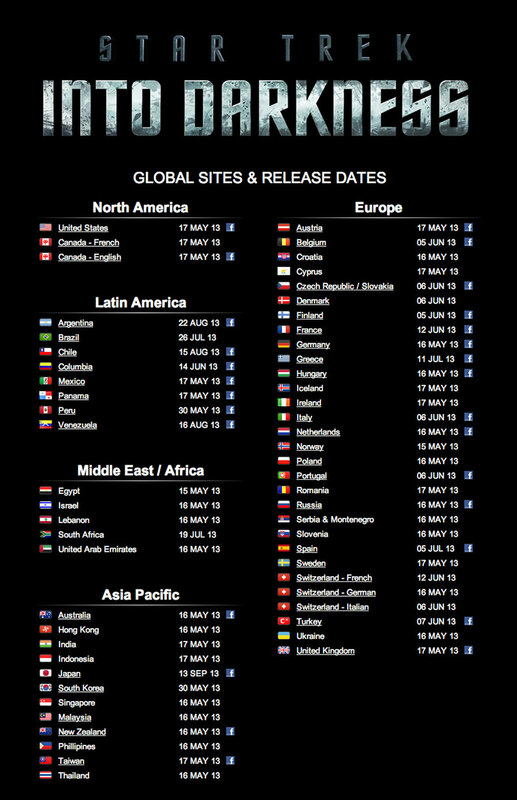 Most of the rest of the world see it from the 16th or 17th, with a string of other releases extending months later for some countries. You're particularly unlucky if you live in Japan, where it isn't released until the 13th of September! Which ever version of the official site you go to, you might notice the poster there has been animated with flames and falling debris - Fancy. 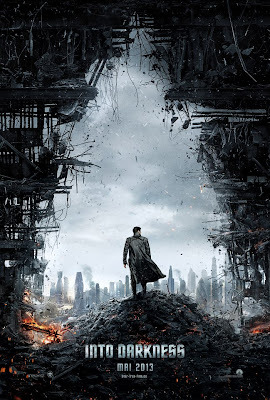 UPDATE: Those resourceful chaps over at TrekMovie.com found one I missed, the Russian poster, which apparently not only gives us the title in Russian characters, but in facts gives us a different title: Tje film will be known as Star Trek: Vengeance in Russia, which according to TrekMovie was one of the alternative titles considered for the film. In other Into Darkness news, TrekMovie report there will be a online teaser trailer released this thursday (6th December), ahead of the previously announced full length cinema trailer, and the IMAX exclusive nine-minute preview, a week or so later.